I wrote in a previous blog how various factors need to come together for an ascent to be successful. Our experience on Llullaillaco shows just how true this is. Perhaps I was tempting fate. Both Derek and I suffered our own disappointments. For me, I barely got onto the mountain. As I had explained in an earlier blog, the archaeological remains near the summit would have been particularly interesting to see. But when even being at rest could send me into uncontrolled coughing fits, the chances of me being able to mount a serious attempt to the summit were somewhat remote. An irritating cough that had dogged me even in Mexico suddenly became a full blown chest infection. 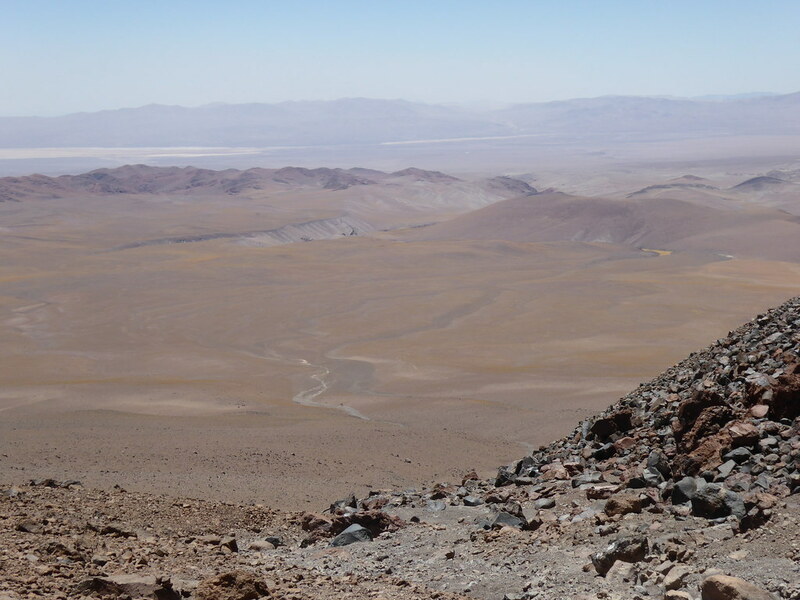 The approach to the mountain from San Pedro de Atacama started off on paved roads. We covered half the distance in an hour and a half. The fact that it took another four hours to cover the second half shows how the “roads” changed. This mountain is remote. We bounced over open expanses of desert. Dust swirled around the car. We could not open the windows on that account so the heat became stifling. We could see the mountain 50 miles or more off but it took a long time for it to seem to come closer. The road never seemed to make a direct line to it. 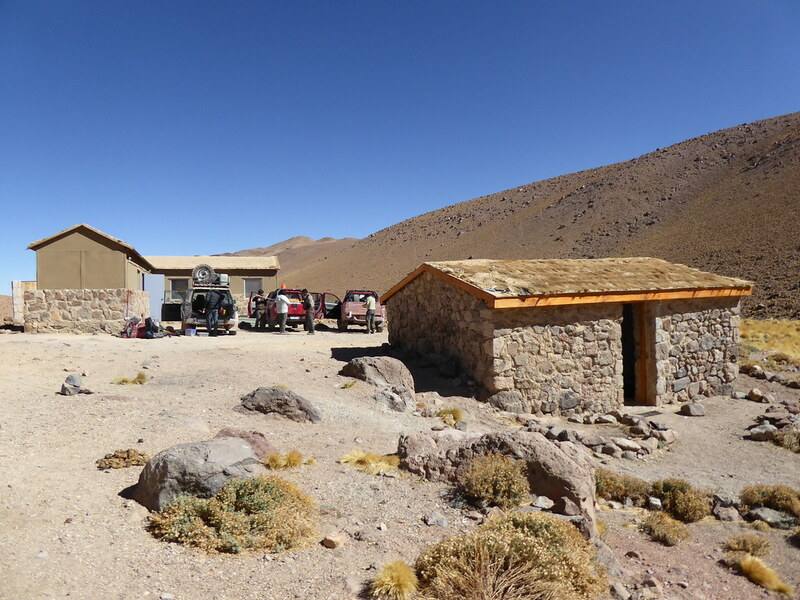 Eventually we arrived at a refugio at 4010m which was going to be our base camp. We were chucked out by the Chilean Park Rangers after the first night. They were in the vicinity to count vicunas. Fortunately there was another smaller shelter for two and our guide, Eduardo, and driver, Enrique, were able to stay in a tent. Eduardo had determined a sensible acclimatization schedule. From my point of view the problem was that the way I was feeling I was not going to be able to fit in with it. The first day was to be a load carry to Camp 1 at 5190m. 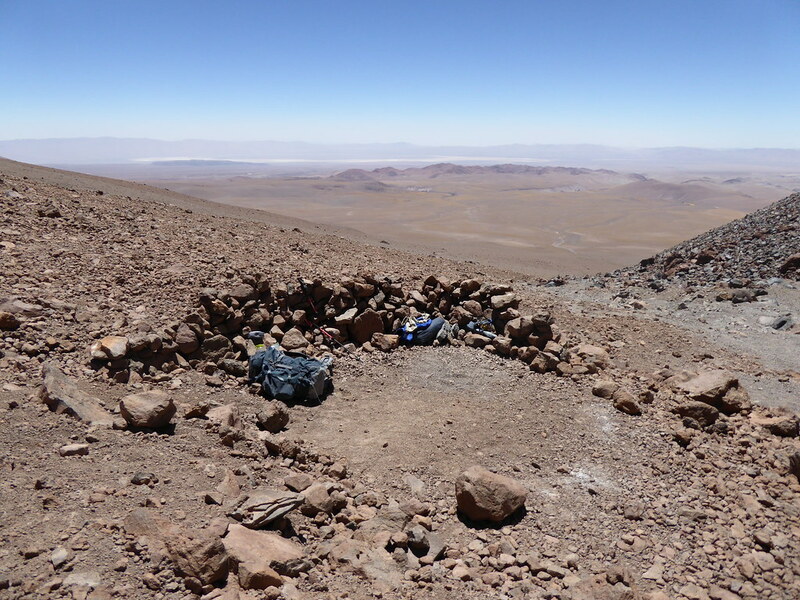 I had to give up at 5000m, caching some food and equipment under a rock whilst Derek and Eduardo made good progress to Camp 1. The mountainside had been echoing to the sound of my hacking cough. By the time I decided to turn around my chest felt it was burning and my diaphragm was sore. We reunited at the car (which had taken us to 4600m) and went back to the refugio. The plan for the next day was to start the summit attempt by getting to and sleeping at Camp 1. I decided to forego an attempt. It would plainly be futile. 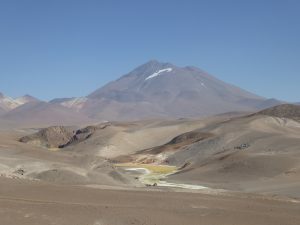 Although I had started taking some antibiotics they would take a while to have an effect (even assuming I was suffering from a bacterial infection) and, in any event, bugs of whatever nature can be notoriously difficult to shake off at altitude. So Derek and Eduardo left me behind the following day whilst I glumly mooched around at our base camp. It felt so unfair in that I had fastidiously been getting myself into good condition for months and keeping healthy only to be frustrated by something over which I apparently had no control. In fact Derek was moving so well that he and Eduardo blasted through Camp 1 and went to Camp 2 at 5600m. The summit attempt would then be made the following day. The following day was beautiful with light winds. I decided to try to make it to Camp 1. I needed to rescue my cache and I was also worried about a potential loss of acclimatization. With some effort I did make it to Camp 1. I’m not sure how good this was for my chest. I spent 45 minutes lying in the warm sun drinking and nibbling some food. Enrique heroically went on to Camp 2 to help load carry down. Eventually I spotted Derek approaching. Unfortunately he had not made the summit. Ascending scree is not fun at the best of times. But at 6200m going three steps forward and two steps down on slippery terrain is soul destroying and was simply taking too much time. It was a good effort though, and a new altitude record for Derek. Eduardo and Enrique were not far behind. The next day we left our base camp for Antofagasta on Chile’s Pacific coast where I have been trying to shake off the bug. We leave Antofagasta today. I am still not right but the show must go on. We are redoing the itinerary. Ojos del Salado remains our next main objective. However, Pissis will be omitted as we no longer have time if a serious attempt on Ojos is to be made. So after our Mexico successes, our Llullaillaco time has been disappointing. But that’s what it can be like when tackling these huge mountains. There will probably be radio silence from me for a while. Wish me luck and, more importantly, better health. 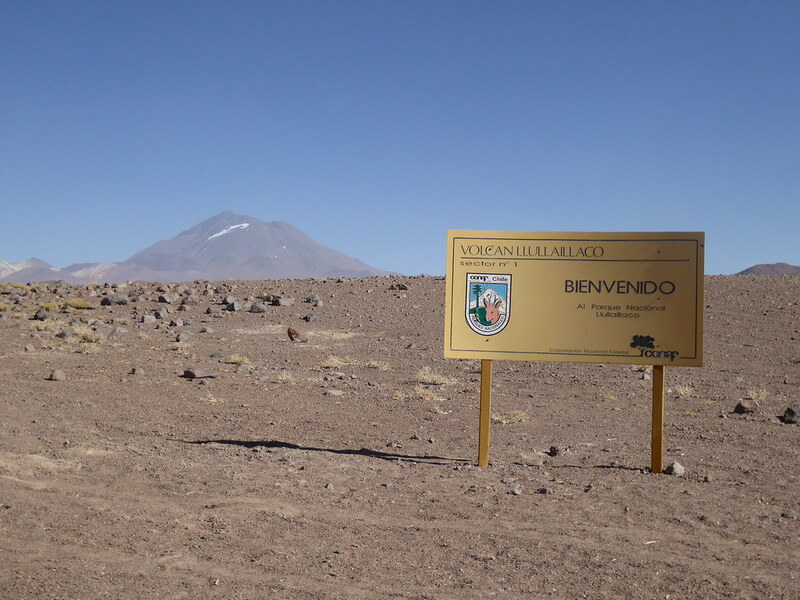 Llullaillaco is one of the mountains I am most looking forward to. Continuing the volcano theme, this is one on the border of Chile and Argentina. First some “anoraky” facts. it is the highest peak in the world without glaciers. it has the highest snowline in the world at around 6,500m (21,300ft). 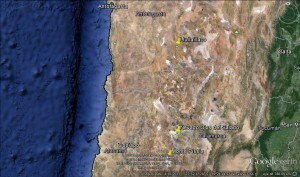 This is because it is on the Atacama desert, supposedly the driest desert in the world. it is the third highest volcano in the world – 6,739m (22,110ft). 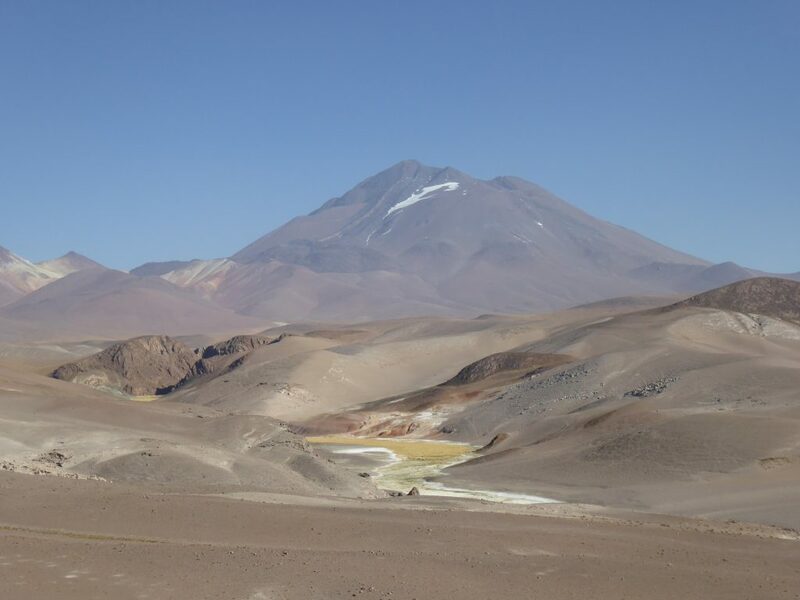 it is the seventh highest mountain in the Andes. it is the highest archaeological site in the world. Near the summit are remains of Incan buildings and in 1999 the mummified bodies of three Incan children were found. They had been the victims of sacrifice which occurred not long before the Spanish arrived in this part of the continent. The bodies are now in a museum in Salta, Argentina. it was first climbed post-Inca times only in 1952. Parts of the mountain comprise a minefield – a relic of a Chile-Argentina border war between 1978 and 1982. Technically, it is not supposed to be a difficult mountain. However, it is of a different order in terms of altitude to the Mexican mountains and the weather, particularly high winds and extreme cold, will play a considerable role. Even the approach to the mountain should be an adventure as roads are just rough dirt tracks. This mountain only receives a few ascents each year. The motivation of seeing the archaeology is the spur. We will see how Derek and I do! 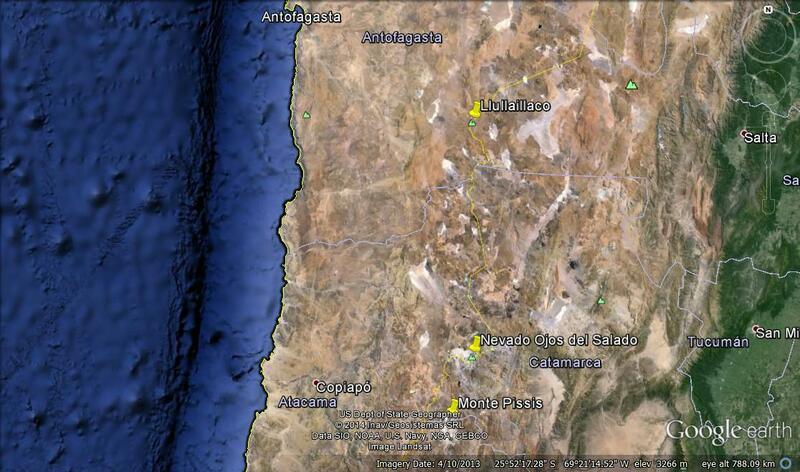 Here is a map showing the three northern volcanoes.